Natalie Fyfe is an artist and performer who positions herself at the border of art and music. With an interest in psychopathology Natalie composes with mundane sounds and isolated body parts to create intersections of control between delusion and reality. Natalie’s works are derived from her own personal experiences with mental health but navigate towards her audience to play with expectations and perceptions. Natalie Fyfe is a graduate from MA ArtScience at The Royal Conservatoire, The Hague. Natalie was awarded both the Masters ArtScience department Award and the Royal Academy of Art Masters Award for her graduation work Choreography of the Mouth (2017). Natalie is currently based in the Hague, NL. 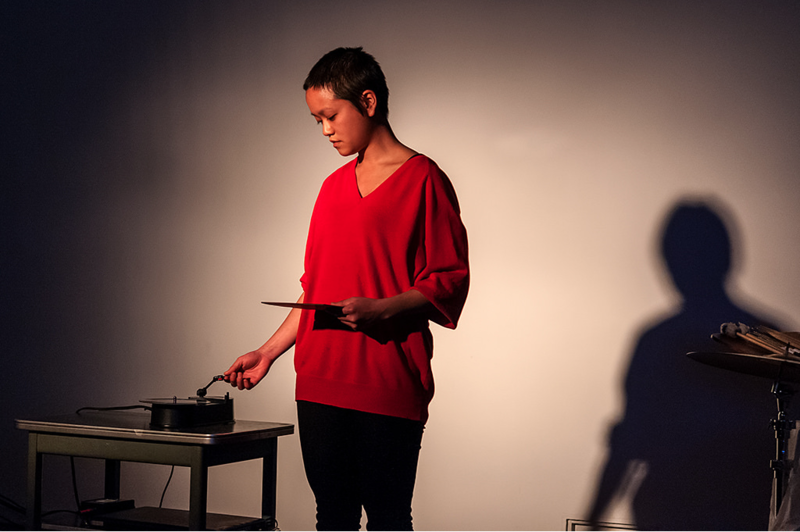 Yun Ingrid Lee (fka Ingrid Eel) is an artist, composer, and performer interested in failure, hybridity, and collective sensing. Yun’s work investigates histories and power relations in acoustic phenomena and different media technologies. Yun has been 1/2 of COME ON YOU FUCKERS in Los Angeles, curator of the Paarden Eiland Concert series in Cape Town, and curator of the BARTALK lecture/performance series in The Hague. Yun’s sounds have been released through Another Timbre, Innova Recordings, and The Lab. Yun’s digital publication “Poetics and Politics of Erasure” was recently launched on oneacre.online. During their residency, Natalie and Yun will be giving a 6 day intensive score-making workshop for non-musicians titled BodyScores. Selections of work produced during this workshop will be presented at No Patent Pending #33 on May 4, 2018.